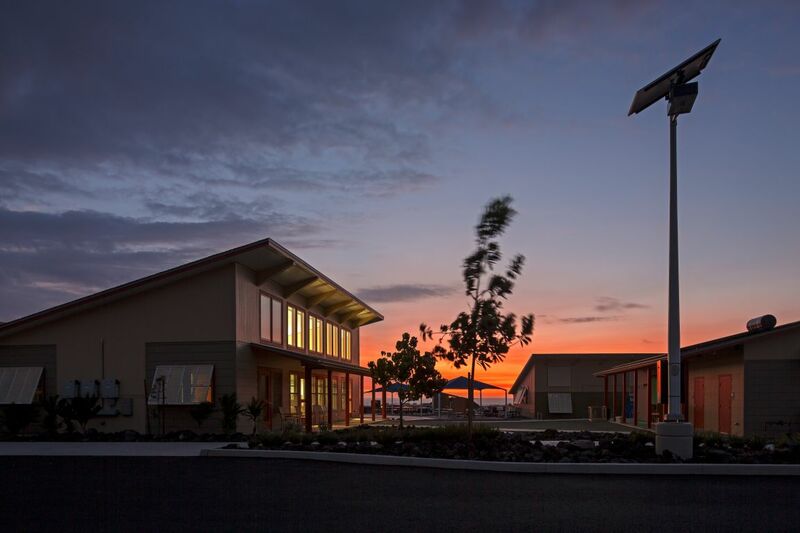 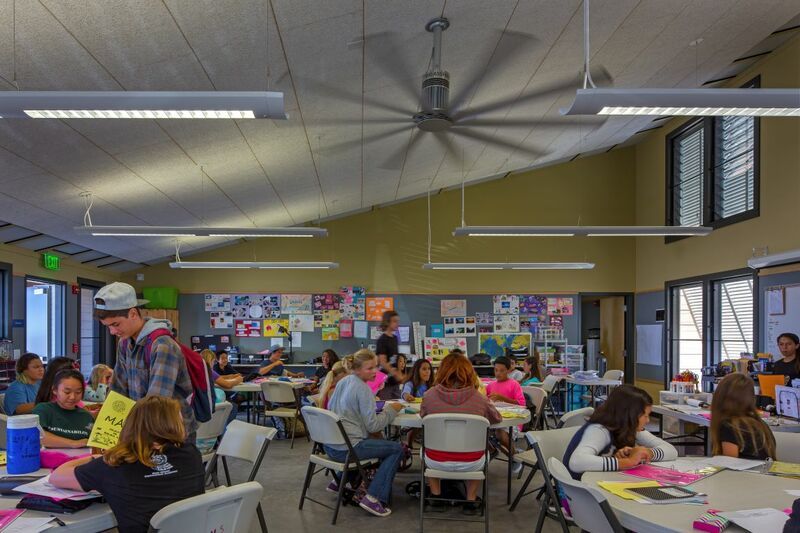 SPECIFICS: Project Based Learning Charter Middle and High School designed for 300 enrollment, net zero energy use. 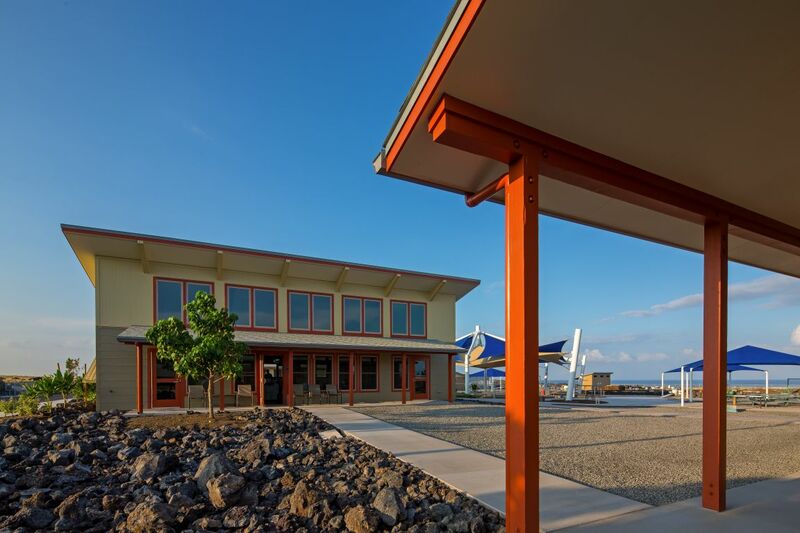 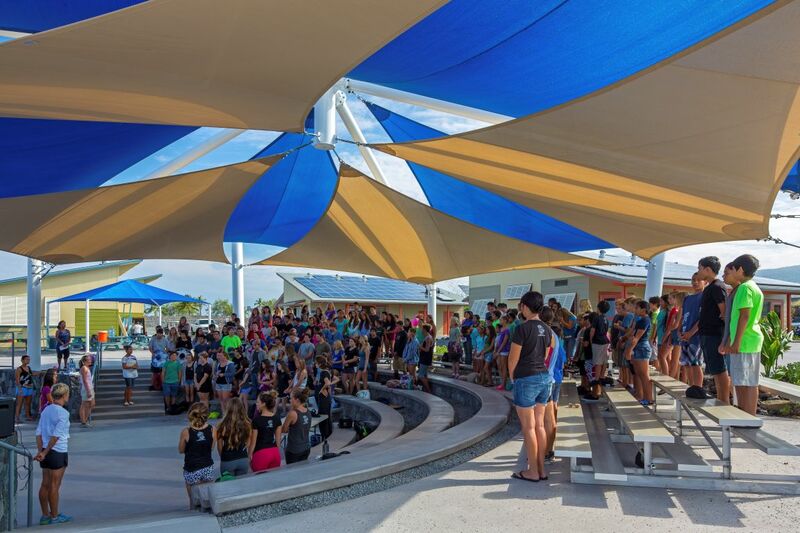 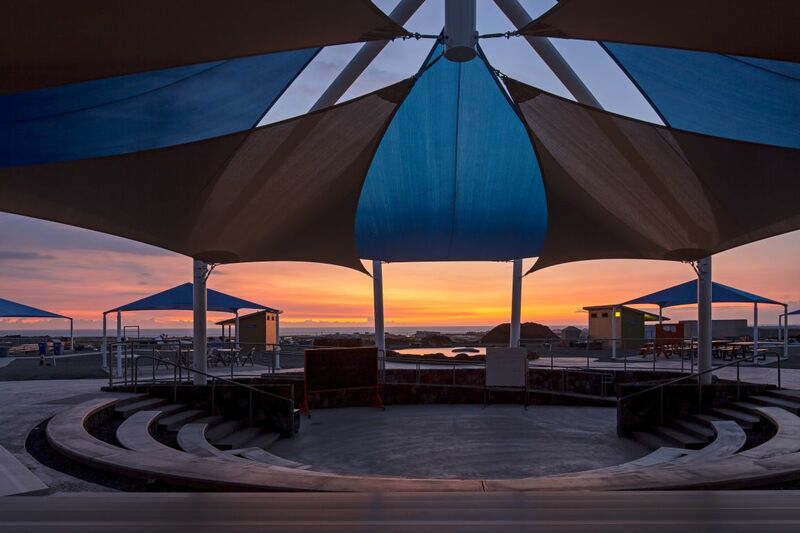 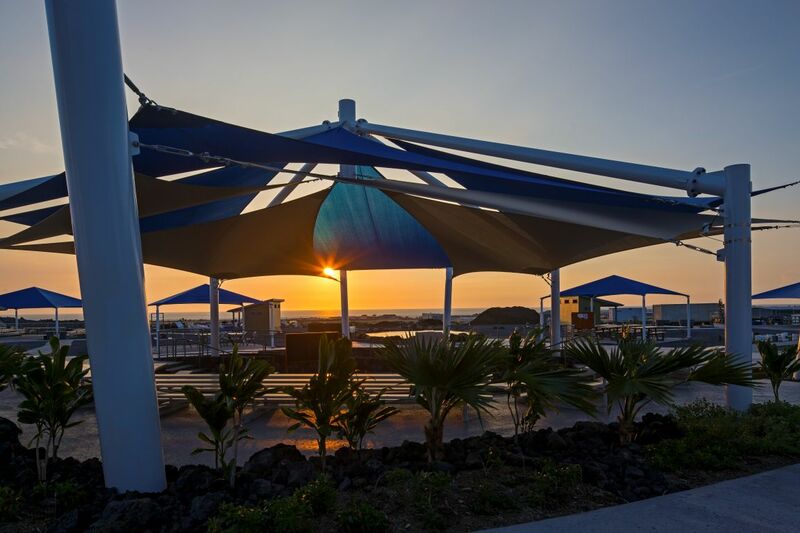 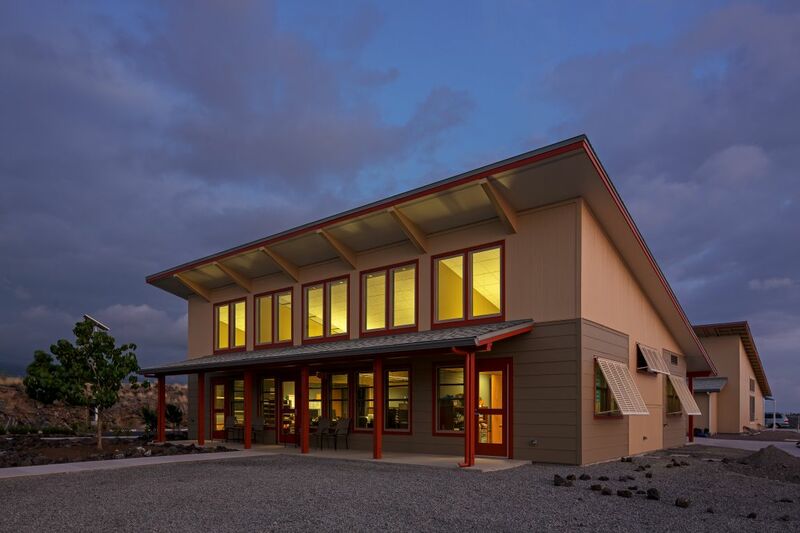 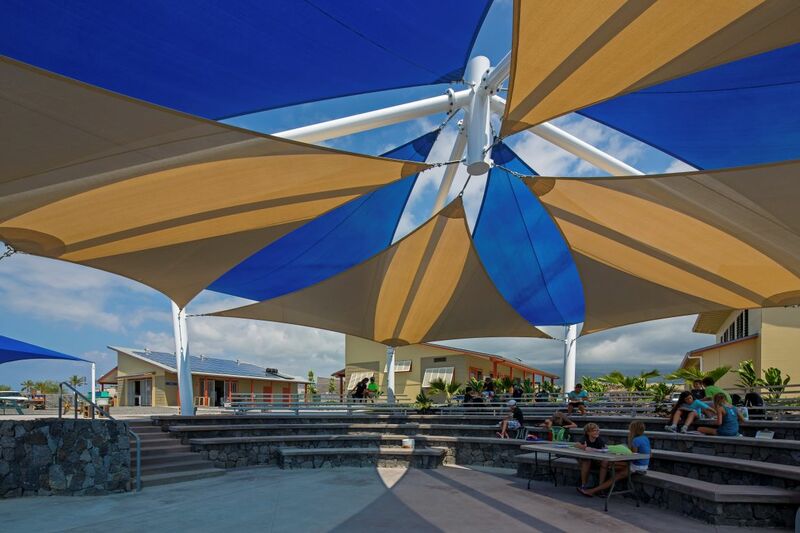 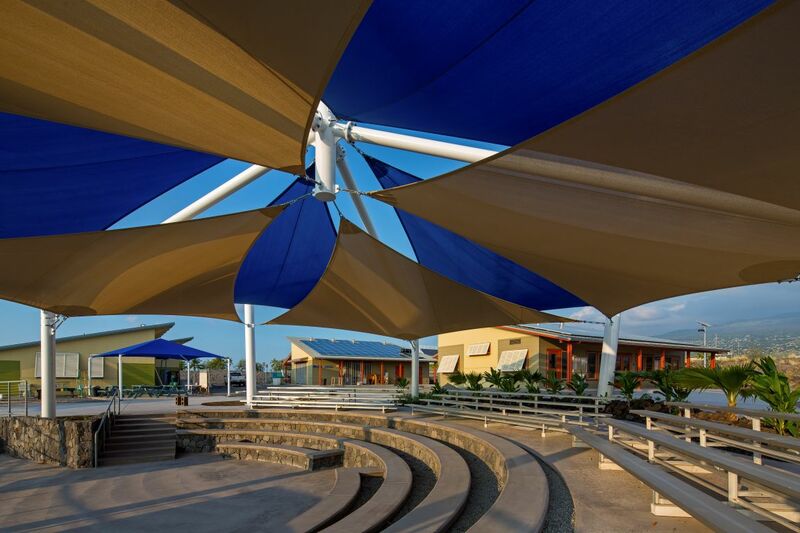 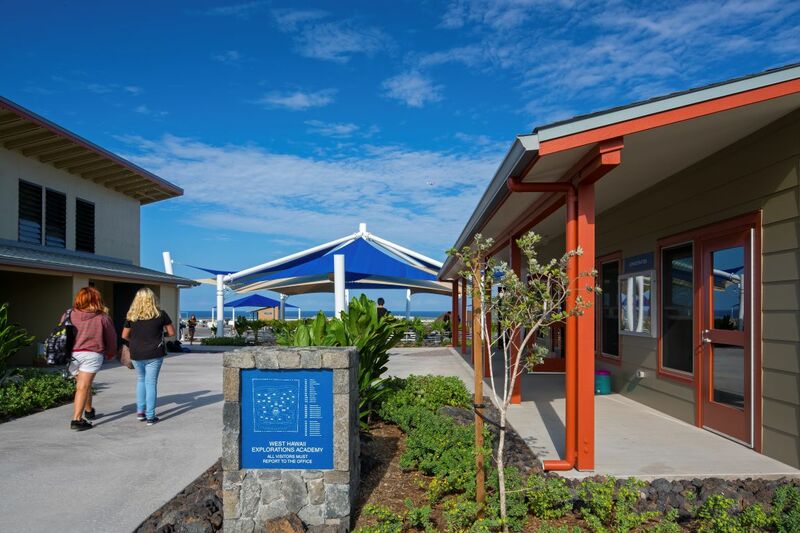 DESCRIPTION: The new WHEA campus, located on a 4.8 acre site within the Hawaii Ocean Science Technology (HOST) research park adjacent to the NELHA Hawaii Gateway Energy Center in Kailua-Kona, Hawaii, is designed to facilitate 300 high school and middle school students in an open and integrative setting that encourages innovative hands-on project based learning. 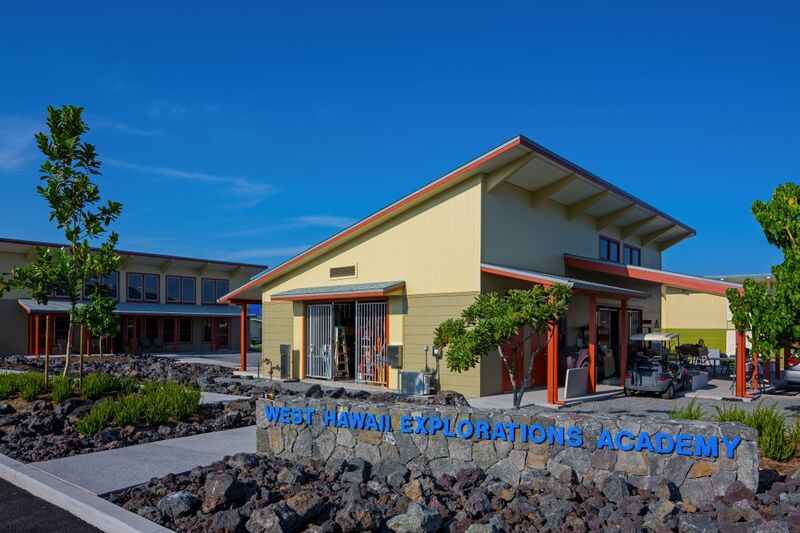 The facility for the public charter school is sited on a pahoehoe lava flow near the edge of the HOST park and at the end of the trunk lines for distributed cold deep seawater and surface seawater within the park. 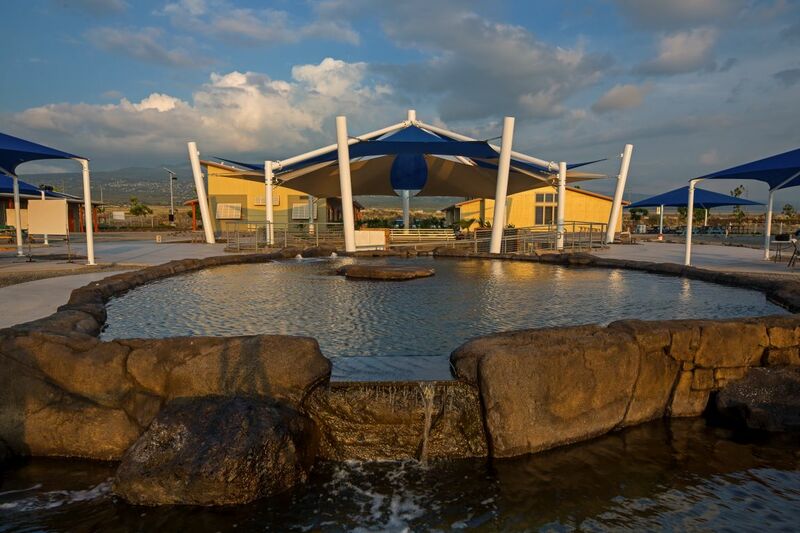 The school uses these resources in their project based curriculum to run aquaculture, aquaponics, cold earth agriculture, and a shark / reef / touch tank. 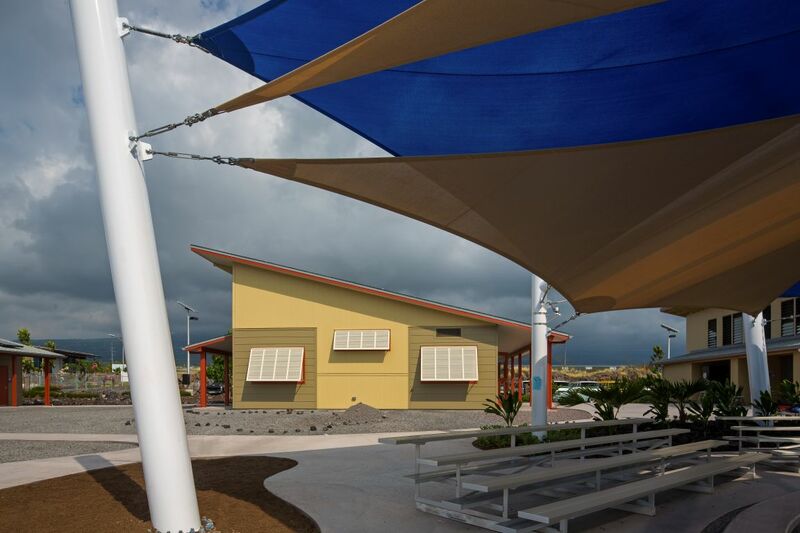 The design of the facility relies heavily on natural cross ventilation and stack ventilation to create comfort zones for the majority of the interior spaces. 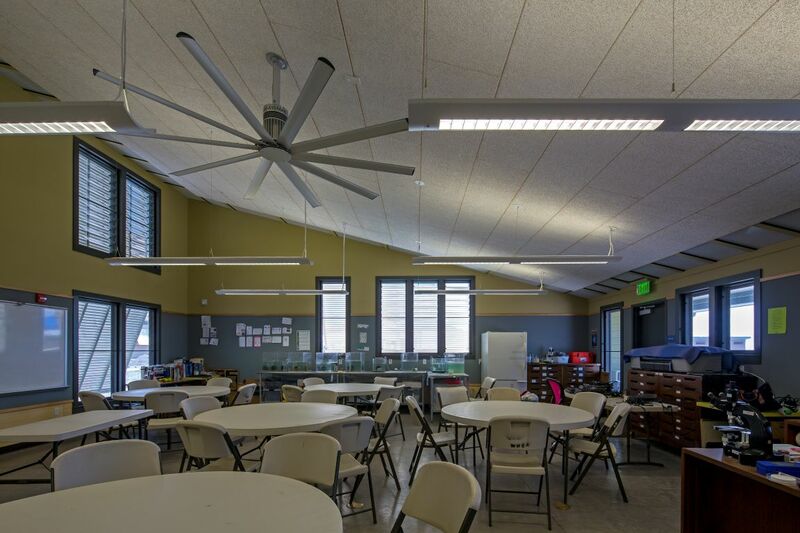 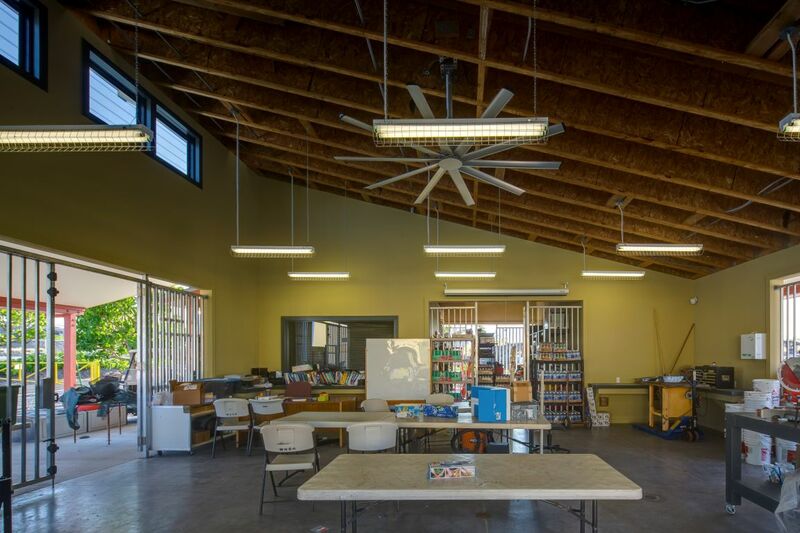 100% daylighting is achieved throughout by providing generous fully shaded openings on all walls – keeping heat and glare out while providing even, fluid natural light. 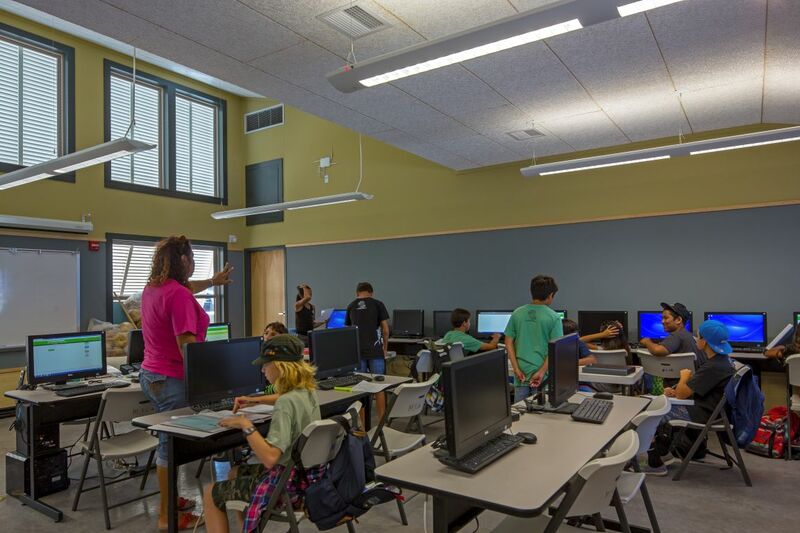 The architecture is based on the realization of a stand-alone pavilion type classroom building that is repeated in “village” organization surrounding a central tour path, utility spine, and student project areas. 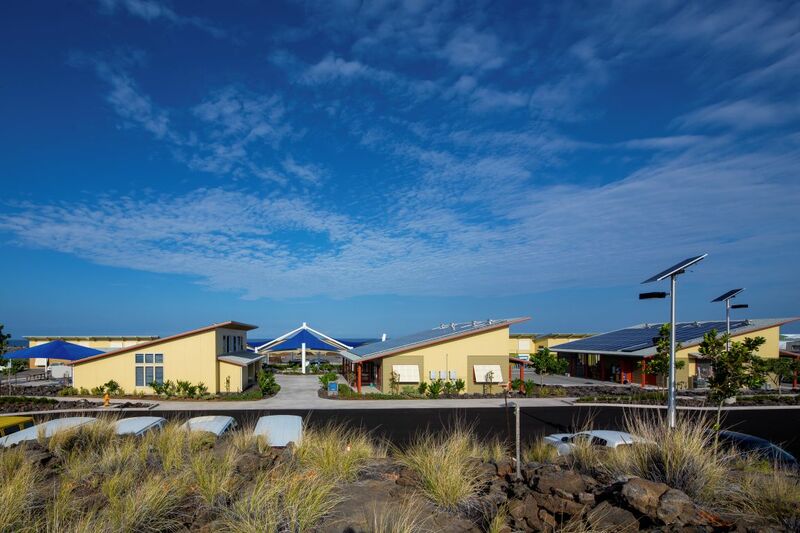 The project implements renaturalized lava landscape, minimized impervious hardscape surfaces, building integrated photovoltaic panels for net zero energy consumption, large north window exposures for daylighting, south facing roofs for additional photovoltaic potential, and solar water heating.